We carry a large selection of trailer parts, accessories, and supplies from brands like Dexter, Trucklite, and more. If you need parts to build a trailer, refurbish one, or simply do a trailer repair, check with us to find the parts and supplies you need. Our experienced staff have built and repaired hundreds of trailers, and we can help you find exactly the right parts for your needs. We carry many popular sizes of trailer wheel bearings and hubs. We carry trailer wiring and lighting supplies in stock at our showroom. 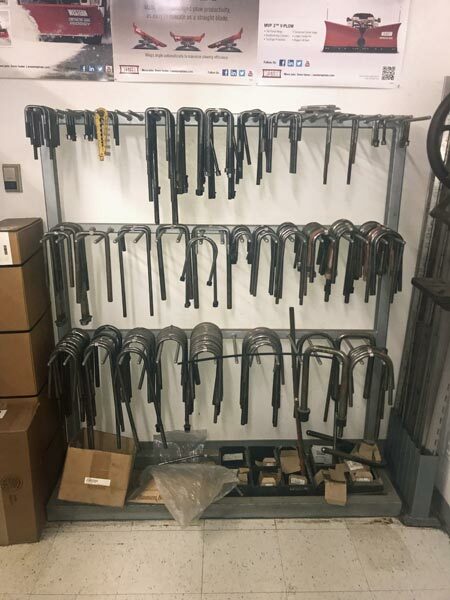 We have brackets, shackles, hitches and more. Stop by and let our staff assist you in finding exactly what you need for your trailer repair or trailer building project. If your trailer is broken or needs repair our welders and fabricators can find a way to fix it.